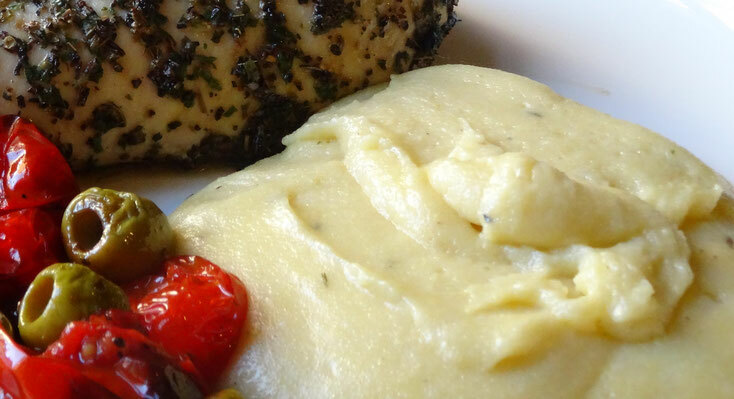 This makes a lovely alternative to mashed potato & as polenta/fine cornmeal is easy to get hold of nowadays it's a useful addition to your store cupboard! Mine is by Dunn's River at 80p for 500g, you should find in the World Food aisle of the supermarket. Pour the hot stock into a saucepan over a medium heat & bring to a boil. 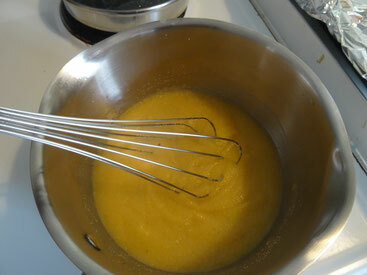 Add the polenta stirring constantly with a whisk. 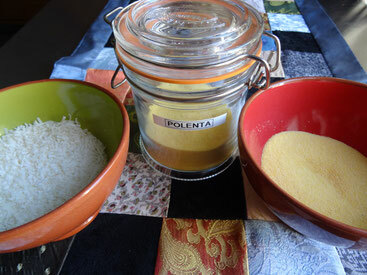 Once the polenta has thickened turn the heat down to low cover & leave to cook for 30 minutes, checking every 10 minutes to stir. Remove from the heat & stir in the butter & cheese & a pinch of pepper.